Constructed of highly transparent prime virginpolystyrene, Filter at the top of each pipetteprevents damage to pipettorsNon-pyrogenic, non-cytotoxic; DNase & RNase free, humanDNA free. 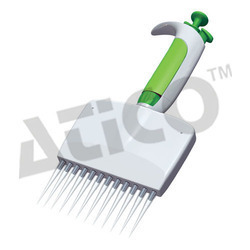 Bio system newly introduced a Bio Vision Pipette Model at very affordable price for pathology, medical college, professional educational, laboratories. - Ergonomic Design Colour coded for easy identification. - Calibration conforms to EN- ISO 8655 standards ensuring high accuracy & precision. 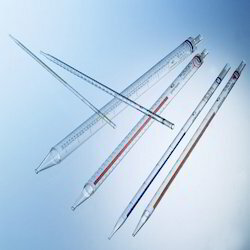 We are proud to present premium quality Pasteur Pipettes with teat that are made from extra ordinary Borosilicate glass that offers durable and long lasting structure to them. The supreme Pasteur Pipettes, manufactured by us, are praised by our clients.The superior Glass Pasteur Pipettes, offered by us, come in several sizes for easy recognition.